October 22 is one of the most important dates in Lawrence’s history. 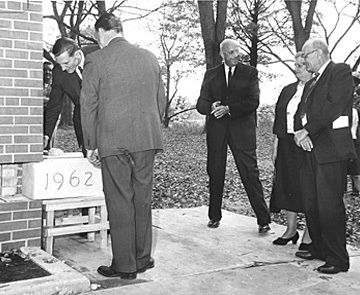 Fifty-years ago today, an announcement was made 100 miles away in Milwaukee that helped transform Lawrence College into Lawrence University: Milwaukee-Downer, an all-women’s college would close its doors and consolidate with Lawrence. Milwaukee-Downer students react to the announcement Oct. 22, 1964 that their college would be consolidating with Lawrence College in Appleton. 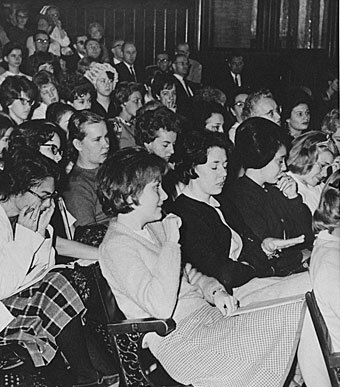 In 1964, Downer’s 43-acre, east-side Milwaukee campus was sold to the University of Wisconsin-Milwaukee and 49 female students and 21 faculty members transferred to Lawrence. 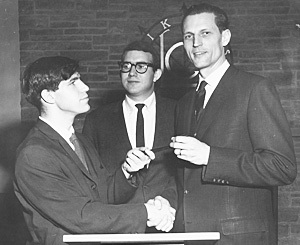 Forty-four of the original 49 Milwaukee-Downer students eventually earned bachelor’s degrees from Lawrence, and 11 of the faculty members remained at Lawrence until their retirement. Lawrence archivist Erin Dix ’08, recounts the news of that surprising, and stunning, announcement on its 50th anniversary in today’s Archivist blog.